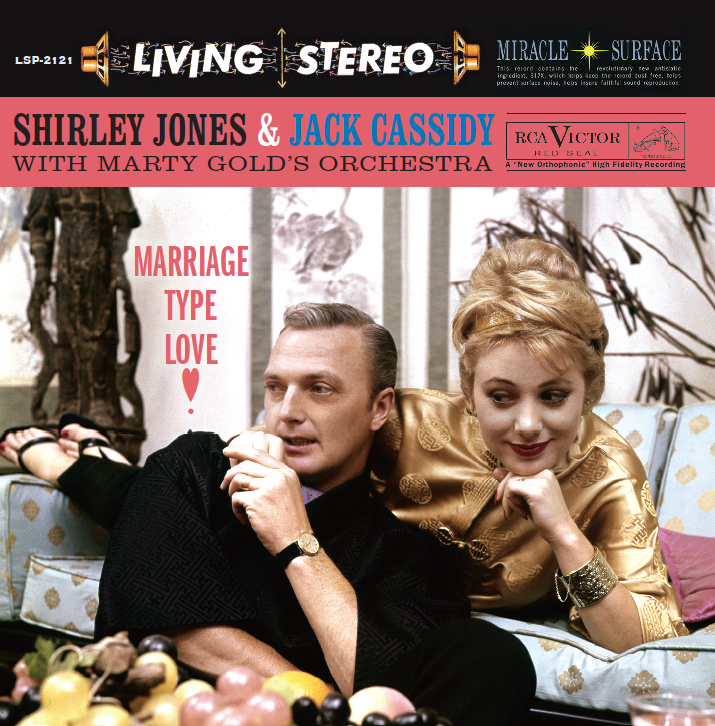 Recorded in 1959, this album was, for unknown reasons, shelved until now and I can’t think of a reason why this wasn’t released during the love affair of its two stars: Shirley Jones and Jack Cassidy. As the title indicates, marriage and love is the main subject of the twelve songs that make this album. And when those songs are written by some of the best composers in the world and sung by a sweet couple we know we’re in for a pleasurable listening. It begins with one of my favorite Richard Rodgers & Oscars Hammerstein songs, “Marriage Type Love” from the musical ME AND JULIET, here in a nice jazzy version. Another of my favorite Rodgers songs, this time with lyrics by Lorenz Hart, “I Married an Angel” is romantically sung by Cassidy in his only solo. 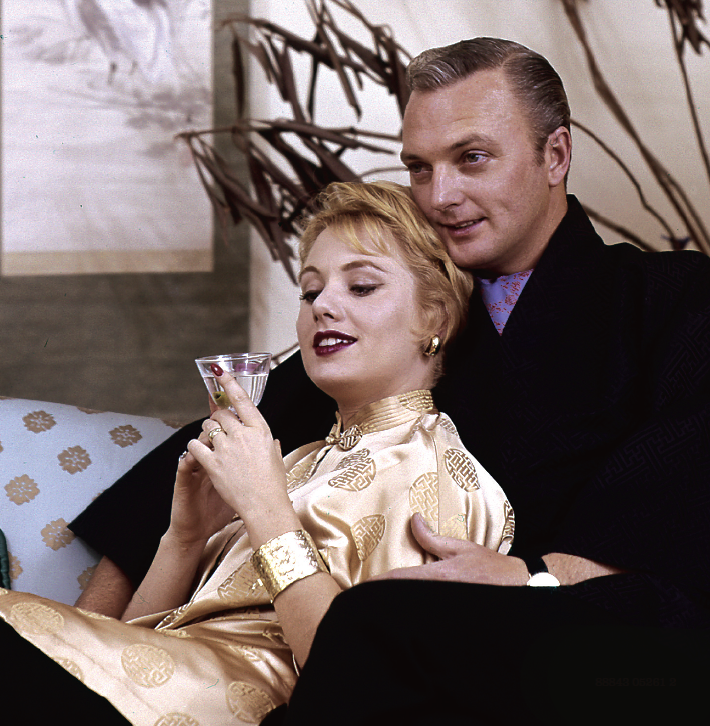 For her solo, Jones delivers a delightful “It’s So Nice To Have a Man Around the House” by Harold Spina and John Elliot. Together, Jones & Cassidy sound like they we’re having fun while recording this (just listen to “Love and Marriage”) and their voices blend perfectly in songs like “A Lovely Way to Spend an Evening”, “Our Love is Here to Stay” or “Two Sleepy People”. The fact that they chose some less known songs, “My Darling, My Darling” (from WHERE’S CHARLEY? ), “Love is the Reason” (from A TREE GROWS IN BROOKLYN) or “I Love You” (from “Mexican Hayride”), make this album even more interesting. The Marty Gold Orchestra plays the songs in a melodious relaxing, but never tedious, mode making it perfect to play when you’re feeling romantic or just want a dreamy end of evening. I believe the genre easy listening was invented for albums like this!